I was refereed over here by a couple of guys on the GS resources forum that I'm apart of. I recently just put a down payment on my B-king and in a month I will be driving the 10+ hour round trip to pick it up. A little about myself is that I'm a motorcycle enthusiast through and through and ride about 20-25K miles a year (hard to do in Vermont) but I do manage to bag them. 2015 will be my 9th season as a licensed rider. I currently ride a slightly modified 2001 FZ1 that I used primarily as my daily rider. With it kissing 60K miles (50K of my miles) and the fact it's still a carburated machine I decided it was time to upgrade. I've had my eye on the B-king ever since it came out and at that point rode a 1998 Bandit 1200. I'm paying for my bike in cash and got it for $5500 USD. The seller is being very cool with working with me. I'm pretty sure I will be the only person in the state of Vermont to own a B-King. Anyway my new bike has 19K miles, I checked and all the recalls have been done and the valves were just checked/ adjusted. description Re: The Formal Introduction. Welcome Jedz! Sounds like you got a great price on your new to you BK at least compared to what I see them priced at down here. Post up a pic when you get it. My wife rides an `03 FZ1, great bikes but your going to love the BK. Coming from GS resources huh? Got an old GS hiding out some where? Some of us like those to. Yes 1 wheel, technically an 83 GR650. I claim it to be a GS for it's very much like the GS Twins of the era minus the floater suspension and the 651cc power plant. Another one year only made in the USA model by Suzuki. Currently I'm doing a full restore on it. And for the B-King. Here's the pictures I got from the dealer where I'm purchasing the bike from. Very Nice bike, Hoping maybe the PO was a member here and would chime in. Thanks guys. The screen is a bit funky looking but it will be good for the miles I'll ask from her (15-20K a year). I'm sure the tires will only last me till May... LOL Also has a Crobin seat so I'll be set for my cross country/ content trip I have planned for June and any distance trip. 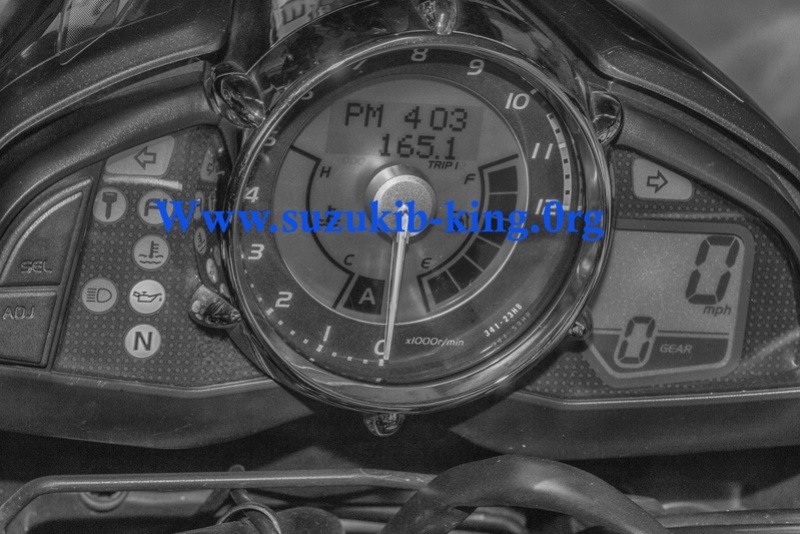 Snuff, Congrats on your King be sure that all the recall info has been addressed for your ride. We have similar issues that the 08 Gen 2 Hayabus's have. Look to see if the rectifier has been addressed and if the clutch bolts were fixed. Flawed parts that halted sales in 2008. Thanks again guys, I'll be sure to post pics once she's in my custody and especially when I start ridding the bike every day. “Thanks guys. The screen is a bit funky looking but it will be good for the miles I'll ask from her (15-20K a year). I'm sure the tires will only last me till May... LOL Also has a Crobin seat so I'll be set for my cross country/ content trip I have planned for June and any distance trip.